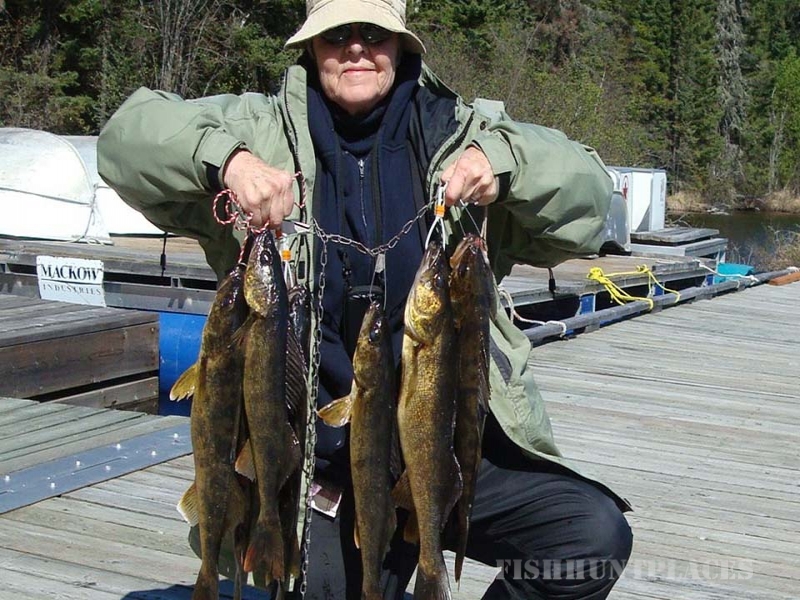 Walleye are one of the tastiest fish you can catch in Manitoba. Walleyes vary in colour depending on the waters they live in. In tea stained bog fed rivers and lakes like at Sasaginnigak they are a distinct dark green-to-gold colour. This fish has large, whitish glossy eyes and strong, sharp teeth. There is one large dark spot or blotch near the base on the last two to three spines of the back dorsal fin. Manitoba waters produce one of the most consistent populations of Walleye in North America. Anglers will commonly look for spots where there is a good “walleye chop” (rough water). 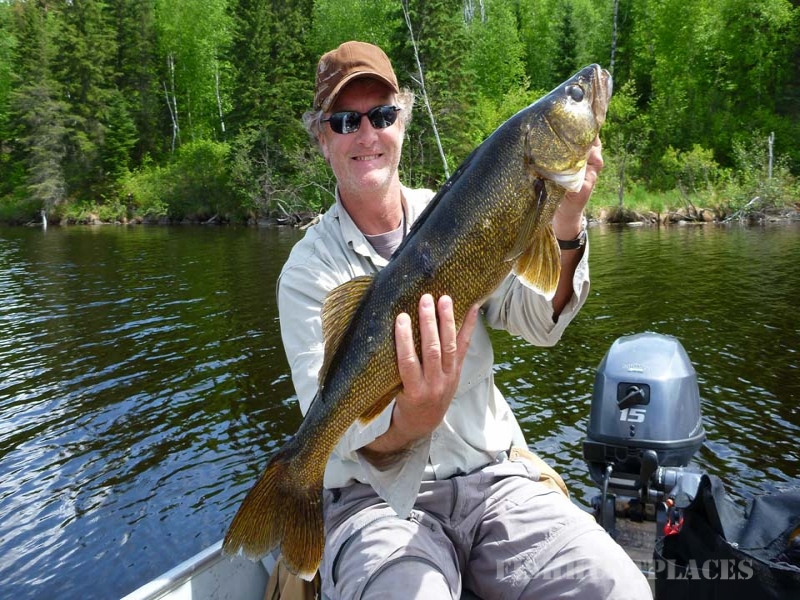 The Walleye has excellent vision which allows the fish to populate the deeper regions in a lake. They can often be found in deeper water, particularly during the warmest part of the summer. Walleye can weigh in at up to over 20 lbs! 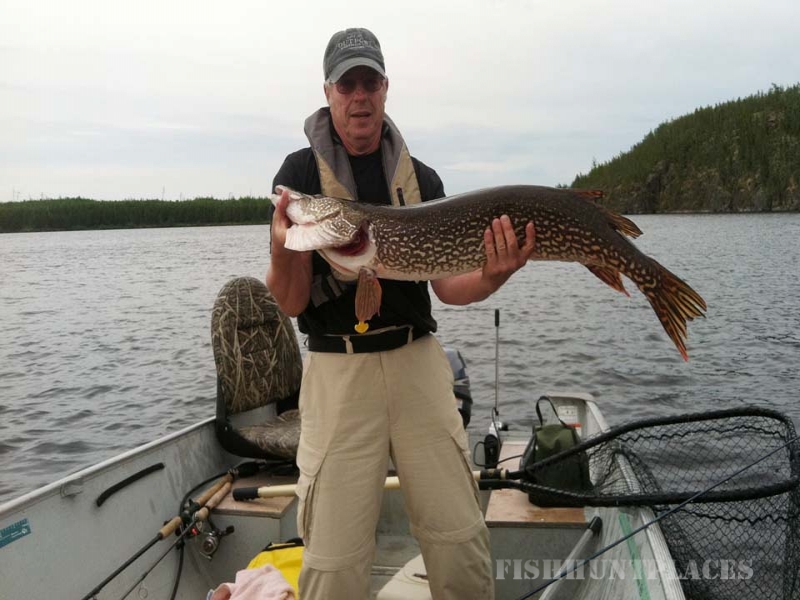 The Northern Pike is one of the most common and widely found fish in Manitoba. They are a favourite with anglers for both their size and their ability to put a hearty fight on the hook. The elongated pike has a long head that ends in large duckbill shaped jaws with canine teeth. The dorsal fin is located far back on the body. Colour changes but is usually bluish-green to grey on its back with irregular rows of light yellow or gold spots on sides. In larger lakes and rivers, Northern Pike will attain a length of 3 – 5 feet and typically weigh over 40 lbs. 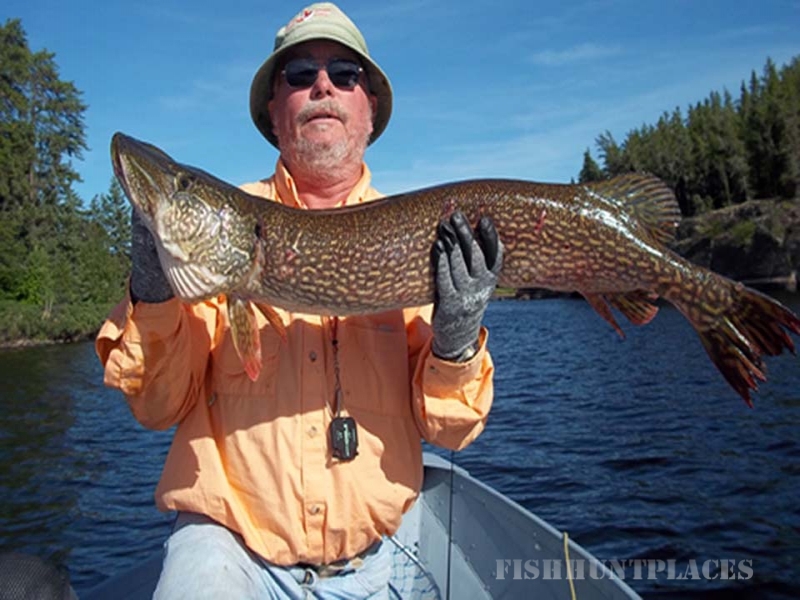 The Northern Pike is a voracious feeder and one of the most predatory fishes in our waters. They are an opportunistic carnivore that will feed Walleye and even smaller Northern Pike. Large pike have been known to eat small muskrats, ducklings and shore birds. 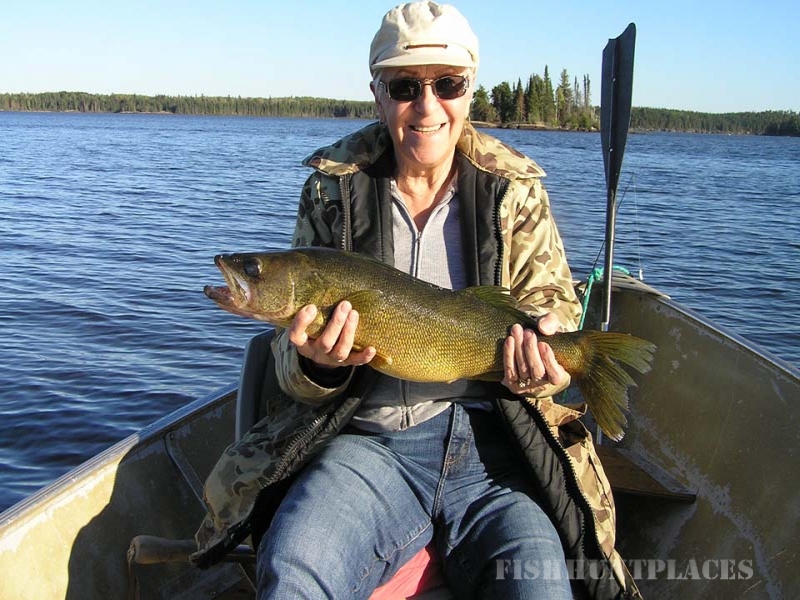 Manitoba’s most sought after game fish is sensitive to water temperature. Smaller fish can tolerate higher water temperatures and will be caught in shallow water. Pike favour moving slowly in heavily vegetated areas and as the season progresses they will move deeper. They like to play with their food – don’t lose patience if a big one lets go multiple times before hanging on for good. They are always hungry, so they will eventually come back again, and sometimes again and again. Lake Trout are a beautiful large fish with a deeply forked tail and light spots on the flesh. They are found predominantly in cold, clear deep lakes with well-oxygenated water with in the Canadian Shield area. In summer you can find them at depths of up to 100 feet. To catch one, try trolling with spoons or jigging with cut fish or deep water spoons. Lake Trout will put up a determined fight and give you a battle you will not soon forget!